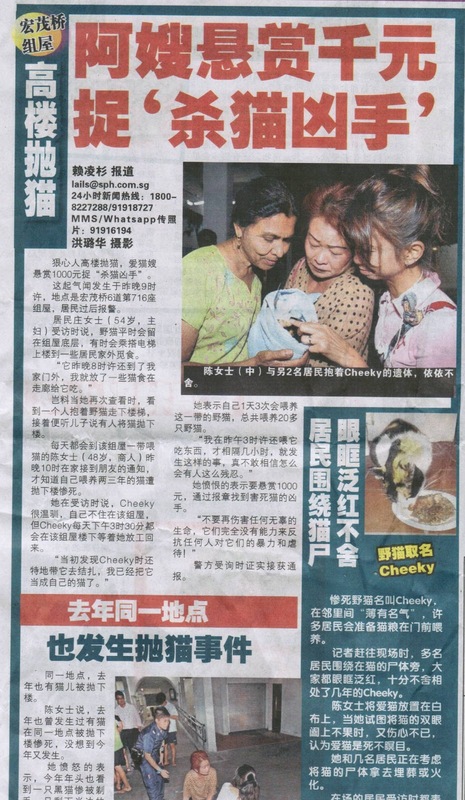 A stray cat named Cheeky was thrown down from a building at Ang Mo Kio Blk 716 on the night of 24 Oct 2012. The CWS has put up a reminder for cat owners to refrain their pets from roaming around their flat, see highlighted text in yellow below. Strangely stray cats in the west have been living peacefully without being harmed even when they go up to the hdb units or roaming freely on the first level. One was even being adopted by a resident. 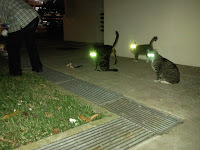 There are however a few cases of 2 cats being left outside the wall parapet though (either by someone or cat jumped over by themselves), see story. We really can't be sure that stray cats are safe nowadays especially the world we are living in is full of violence and pressures. Cat feeder bonding with the stray cat by head butting. The cat welfare society has responded to the news report on CWS facebook page: "It's a sad day as a well loved cat was thrown down to its death from a high floor. SPCA, AVA and police are alerted and an appeal for witnesses and information. This is the second corridor roaming cat this year that has met this fate. While this act of cruelty is condemned and we want the culprit found, we would like to remind all NOT to let your pet cats roam or lure community cats upstairs by feeding them outside your unit "
An Ang Mo Kio resident has put up a $1,000 reward to find the person responsible for throwing a cat to its death from a Housing Board flat. Lianhe Wanbao and Shin Min Daily News reported on 25 Oct Thursday that the incident happened at about 9pm on 24 Oct Wednesday, at Block 716 Ang Mo Kio Avenue 6. Madam Tan See Dee, 48, offered the reward on Thursday. She learnt of the incident through friends. 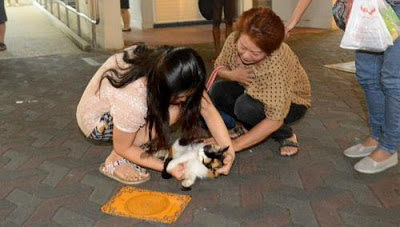 She fed the black-and- white cat, known to residents as Cheeky, for two to three years. 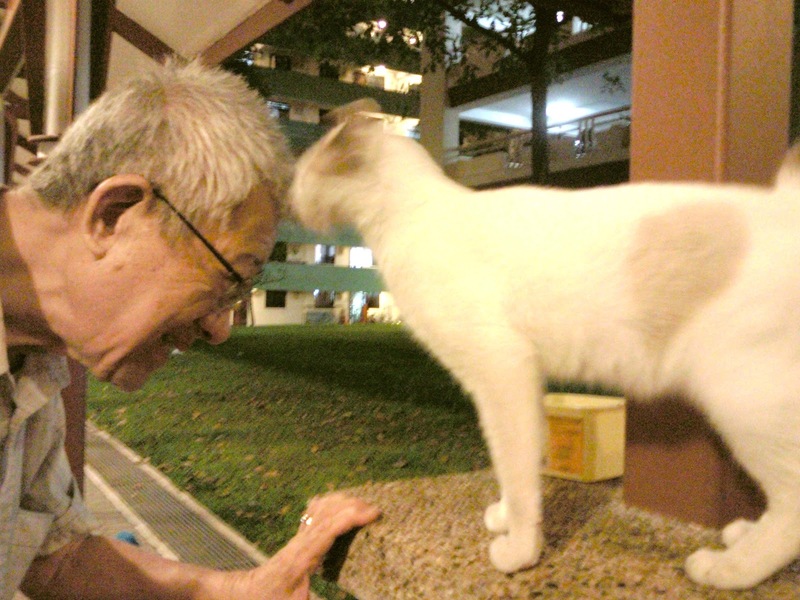 The stray cat would go to the void deck of Block 716 at 3.30pm every day, waiting for her to return from work, she told Shin Min.